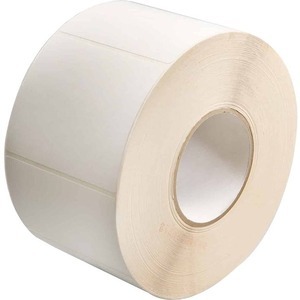 A stocked, coated, thermal-transfer paper label, the Intermec Duratran II exhibits excellent print quality when used with the appropriate ribbon. Featuring a permanent, glove-friendly adhesive, the Duratran II is recommended when minimal abrasion, heat, or sunlight is present. Special adhesives are available with custom orders.